Nobody wants to get ripped off when buying a used cell phone on-line. But buying a slightly used phone can save you a lot of money. Plus you avoid lengthy contracts. 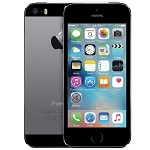 2 or 3 year old phones offer many of the same features of newer, more expensive phones. Follow these 5 tips when buying a used phone or tablet on-line. What is an IMEI? It is the phone's unique serial number. You want to make sure that the phone has not been reported lost or stolen. You also want to make sure that the previous owner doesn't owe the carrier any money. Plus, you want to make sure that the phone does not have an Apple or Google account lock on it. 2. Bring your own SIM card. When buying a phone on-line, a SIM card probably won't be included. A SIM card is the little card that ties your phone number to the carrier (e.g., AT&T). It also may store other private information. You can obtain a SIM card from your carrier. 3. Beware of Unlocked phones. 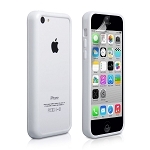 An "Unlocked" phone means that it will work on different GSM networks or carriers (for example, AT&T or T-Mobile). If you are on Verizon or Sprint, you will probably need a Verizon or a Sprint phone rather than an unlocked phone. 4. Buy from a trusted source. Buy from a company that has an existing sales history on popular platforms such as Amazon, Walmart or ebay. Avoid buying from individuals that have limited histories and may be more likely to scam you. 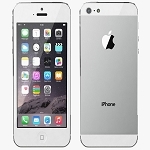 Used or refurbished phones are less expensive because they have already been loved and used. They may have some signs of wear. You will likely use a case or cover and won't see that wear and tear. 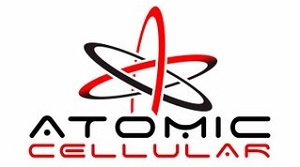 If you are interested in buying a slightly used or refurbished device, visit us at http://www.atomiccellular.com.